Results from the 45-day survey will inform draft range plans released this fall, when a second opportunity for public feedback will be available. Alberta will be engaging Indigenous communities, industry and municipalities and is encouraging public input as it undertakes woodland caribou range planning. A public survey launched June 9 is asking Albertans to help shape the first draft of province-wide caribou range plans. 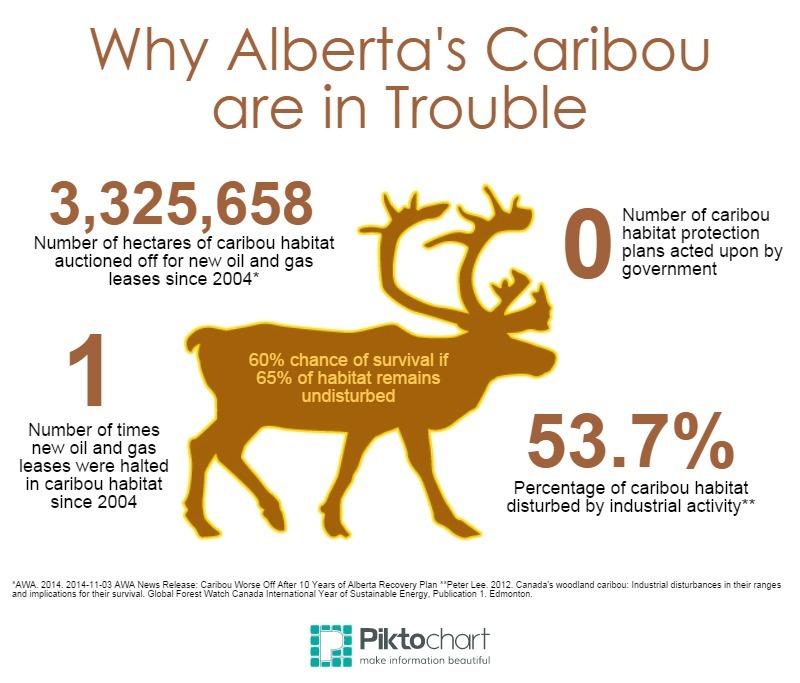 The federal government issued a recovery strategy in 2012 requiring Alberta to have a plan to manage critical caribou habitat by October 2017. “Our focus is on protecting local economies and jobs while recovering this important species. We must find practical solutions to this complex environmental problem,” said Environment and Parks Minister Shannon Phillips, in a statement. The new range planning will focus on northwest Alberta, northeast Alberta, Narraway and Redrock-Prairie Creek, and Nipsi and Slave Lake, which are the four remaining caribou planning areas across the northern part of the province. A draft plan for the Little Smoky and A La Peche caribou ranges was released by the province in June 2016. The plan outlined a “focused strategy towards achieving self-sustaining populations.” It included habitat restoration on seismic lines, wolf population management, creation of a caribou rearing facility for the Little Smoky population, and stricter requirements for resource development.